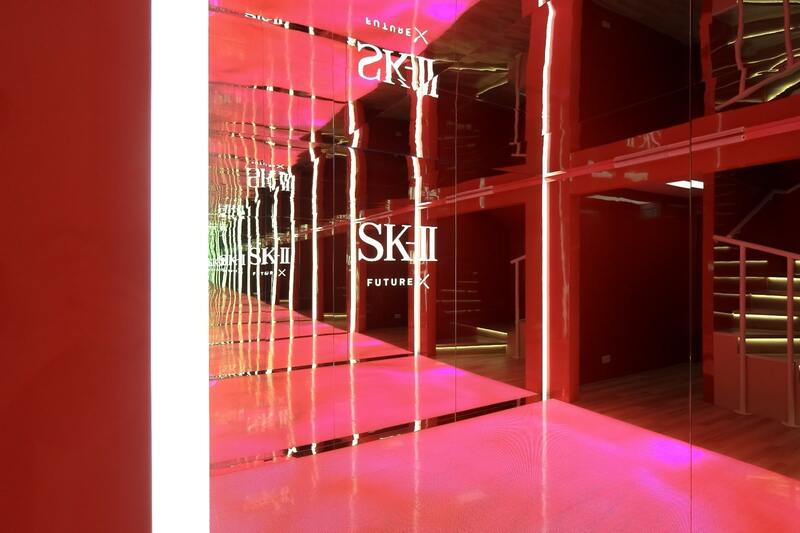 Skincare technology is usually reserved for products instead of experiences, but SK-II’s Future X Smart Store has come to break that norm by becoming a revolutionary beauty retail concept where technology and Artificial Intelligence (A.I) play a lead role. Renowned for its best-selling Facial Treatment Essence, SK-II’s first ever Smart Store in Southeast Asia provides shoppers with a mix of physical and digital experiences — ‘phygital’ — which makes skincare interactive, engaging and fun. The Future X Smart Store Singapore. After successful openings in Tokyo and Shanghai, the Singapore smart store’s journey begins in a unique way; with a digital wall parked outside the store that reads your facial expressions and movements. Titled “The Art of You”, this installation uses facial recognition technology, creating different waves and patterns for every facial gesture, resulting in a piece that’s completely yours. After this fun and first of many Insta-worthy moments within its walls, visitors enter the doors to begin a 100 per cent personalised pass into the future of skincare. 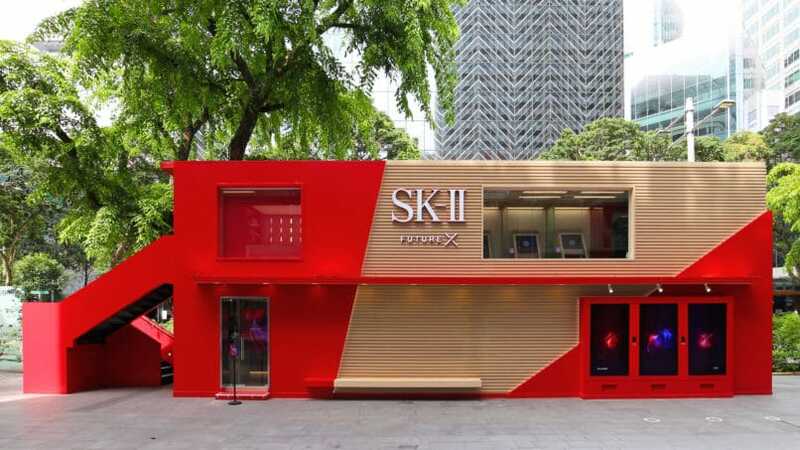 The double-storey pop-up store is laden with interactive components for consumers to learn more about their skin health as well as the SK-II portfolio. The journey begins in an unorthodox manner, with a digital wall parked outside the store that can read your facial expressions and movements. 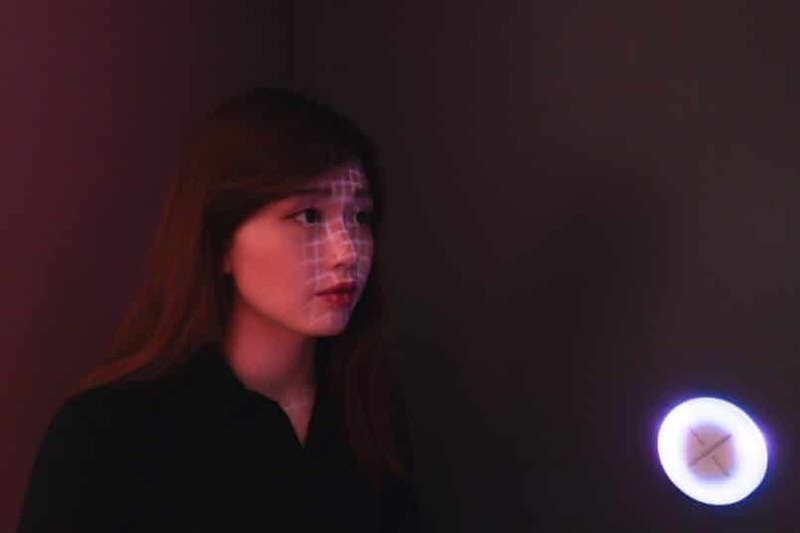 Titled “The Art of You”, this installation uses facial recognition technology to create an art piece unique to your visage at that point in time. SK-II’s proprietary Magic Ring Skin Analysis gets a reinvention at the smart store, transforming into individual scanning booths where guests can sit comfortably while their skin gets analysed by a contactless scan. To get the scan results, one must pass through the LED Colour Canvas steps, where footfalls transform the background into another personalised art piece — take note: ideal photo opportunity. On the second floor, there is the Results Wall, where at the tap of your smart bracelet, you get a comprehensive report on your skin. There is also a station called Pitera Tune, which reads your skin’s texture and delivers advice on how best to improve it. Move to the Beauty Bar, where SK-II consultants are present to help you decode the report and to detail exactly what your skin lacks. All consultations are tailored to your specific needs, heightening the personal element of your experience at Future X. When you arrive at the results wall and beauty bar, scan your smart bracelet and learn which SK-II products fits best for your crystal clear journey. After the trail, there is a retail point where you can shop for trial kits of SK-II’s bestselling products, each laden with the star ingredient across the brand that has made SK-II so renowned today. Whether you’re a massive fan of the brand or unfamiliar with its product range, there is something at Future X to enthral you, so be sure to pop by across the two months it is in town. Don’t forget to bring your A-game for Instagram. 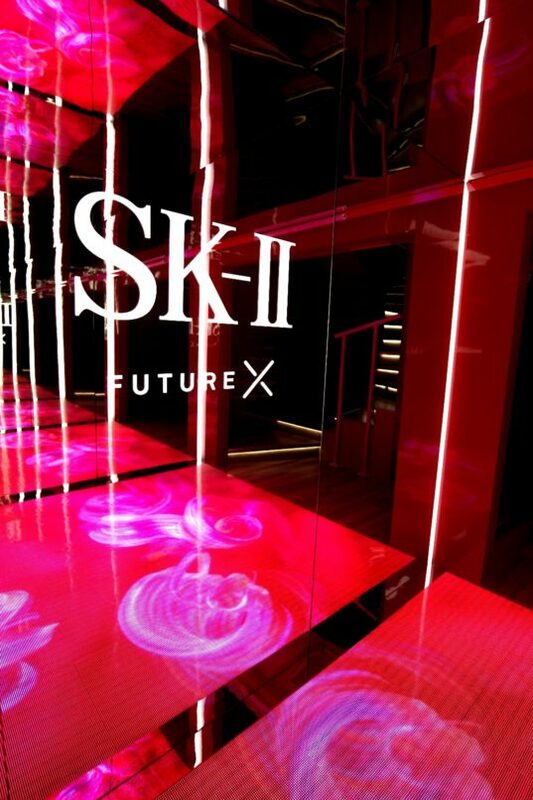 The SK-II Future X Smart Store will open from 1 December 2018 to 31 January 2019, from 10am to 10pm daily outside Mandarin Gallery. Entrance is free.